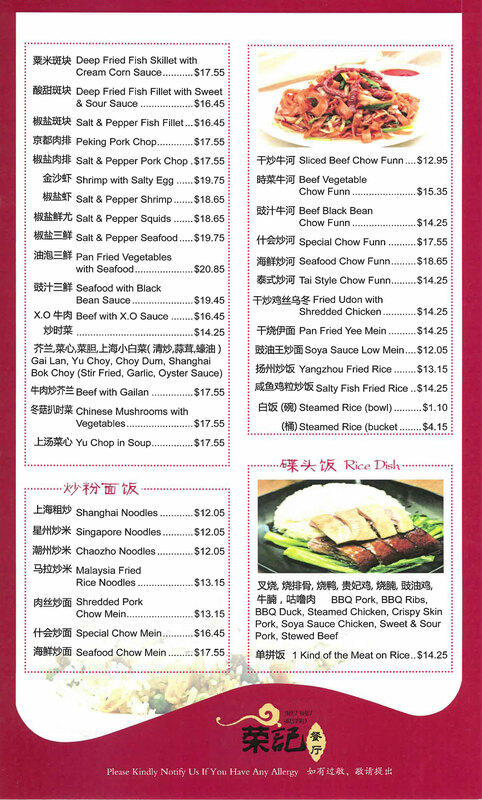 Mei Wei Bistro in Regina has a menu of delicious Asian food favorites. 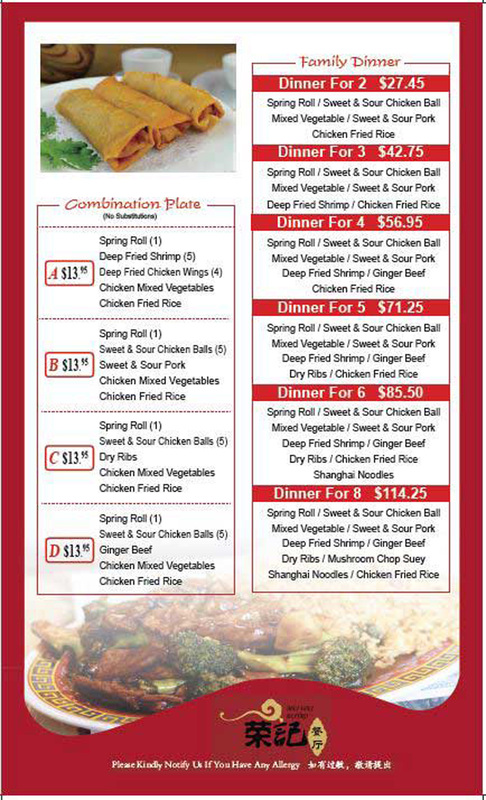 Choose from appetizers such as spring rolls, chicken wings, and garlic dry ribs. 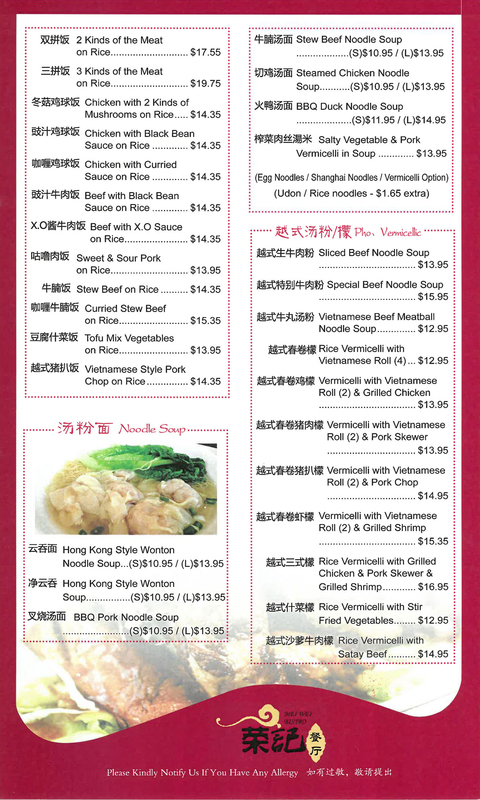 We have several soups available as well, including wonton, hot and sour, and egg drop. 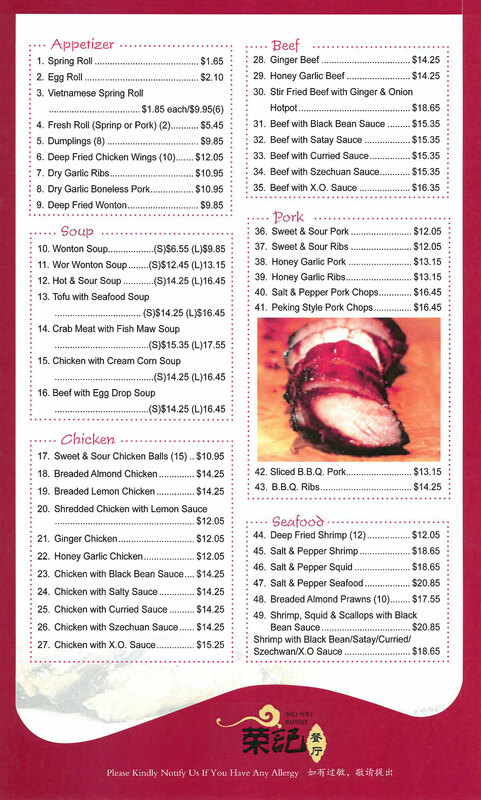 We also have several chicken, beef, pork, and seafood dishes to choose from. 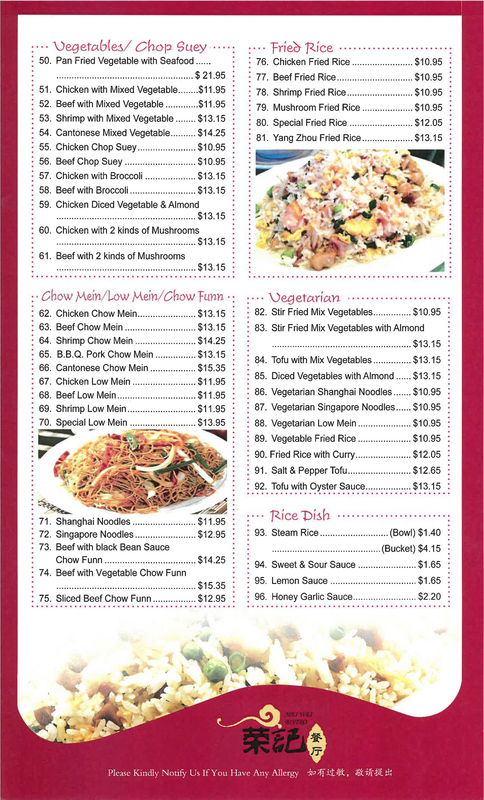 Chop suey, chow mein, and fried rice are also on the menu. 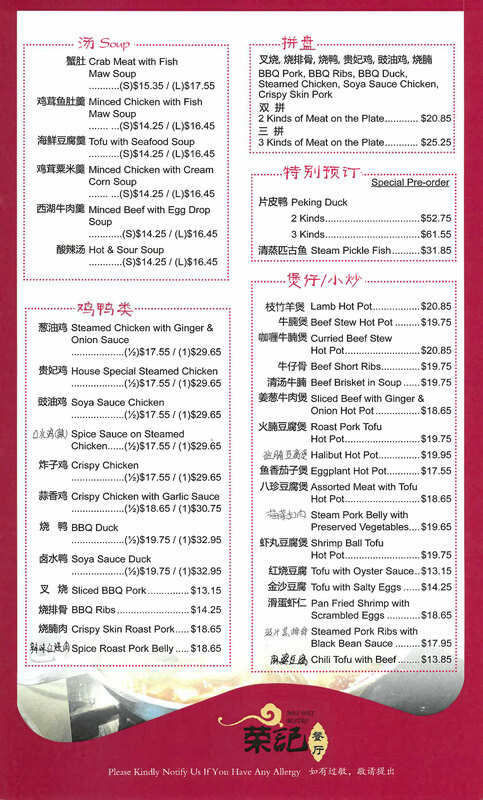 Side dishes include steamed rice, steam buns, cake, and bubble tea. We also have several combination plates and family dinners to choose from, which feed two to eight people. 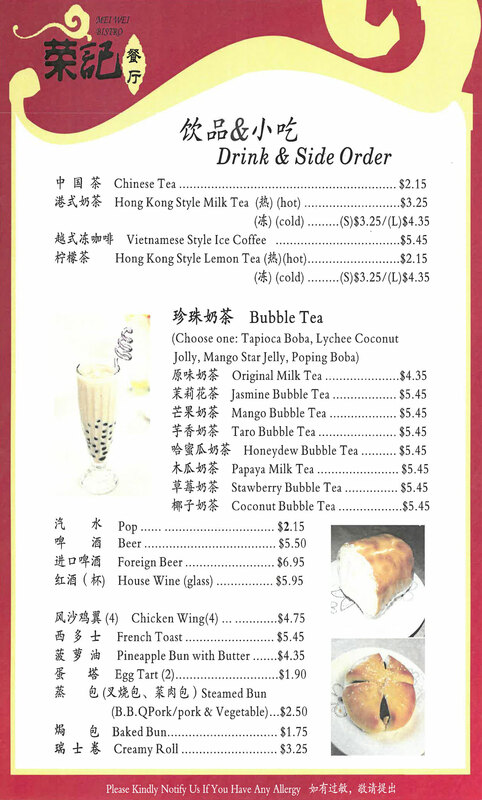 Check out our full menu below.